Instagram’s copycat moves have paid off. Instagram Stories now counts with 200 million daily users, surpassing Snapchat’s 161 million. Instagram Stories are disappearing slideshows of videos and photos that are near-identical to Snapchat Stories, down to the name. Instagram Stories got off to a great start: racking up its first 100 million daily users in October 2016, just two months after they debuted at the top of the feeds of Instagram’s 500 million users. By comparison, Snapchat had about 161 million daily users when the company filed for IPO, just over three years after the company introduced its version of Stories in October 2013. Even though Instagram Stories now seem to be more popular than Snapchat, it doesn’t seem like the imitation game is over. 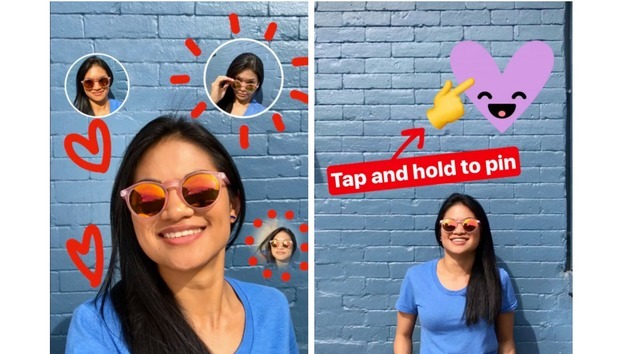 Instagram also announced new creative tools for pinning stickers into videos and creating your own selfie stickers. Snapchat debuted these features in April 2016 and December 2016, respectively, according to TechCrunch. Instagram Stories users can now pin a sticker to a certain object so that it follows along as the video plays. You can pin a sticker by tapping and holding on the object in the video. As for selfie stickers, Instagram is letting you cut-out a selfie and place it above other parts of the video. In addition, Instagram released geo-filters for four new cities, Chicago, London, Madrid, and Tokyo. Why this matters: The only Snapchat feature left that Instagram hasn’t borrowed are the augmented reality 3D selfie filters. However, that feature has already been borrowed by Instagram’s parent company, Facebook. So, it’s only a matter of time before Instagram Stories get this much-loved ability, too.